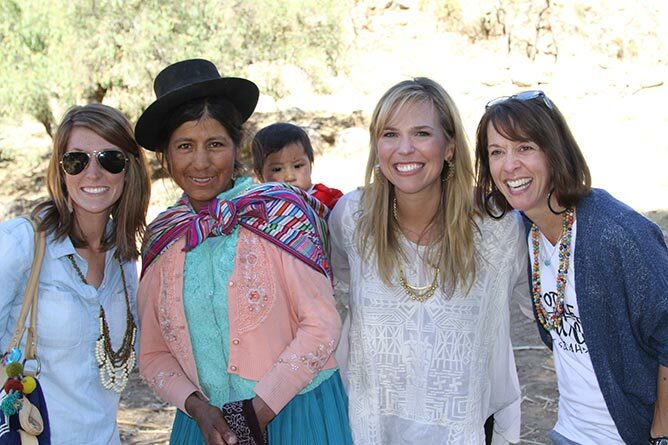 Our Ambassador Travelogue series continues as Ambassador contributor Lisa Thomson reflects on her recent trip to Peru. 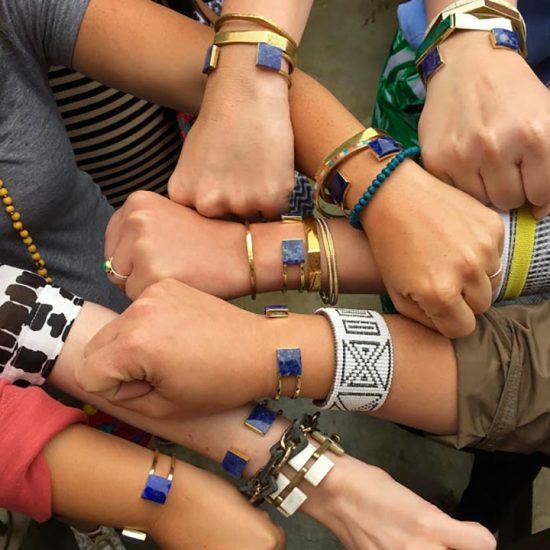 Noonday Ambassadors have the opportunity to earn trips around the world to visit our Artisan Partners in person. Today on Flourish, Lisa explores how the idea of “packing light” applies to travel and life. 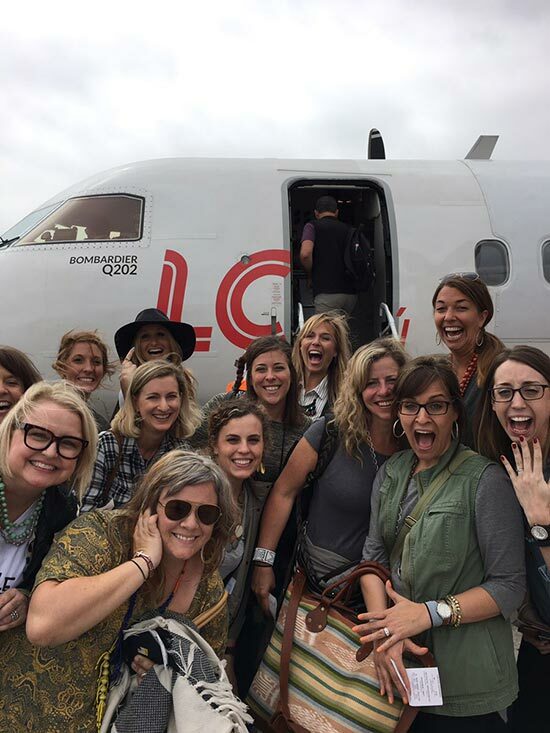 “Pack light.” These helpful words were spoken from the Noonday Collection Home Office to me and a group of 20 or so Ambassadors—women who, by the very nature of our job, aren’t known to skimp in the fashion category, especially when it comes to accessories. But, we were bound for Peru to visit our Artisan Partners both in Lima and high in the Andes in Ayacucho. 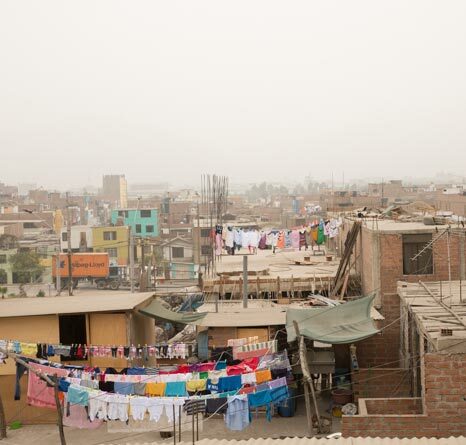 For some of us, there would be no less than eight total flights for our Peru adventure. Thus, the directive from Noonday HQ. 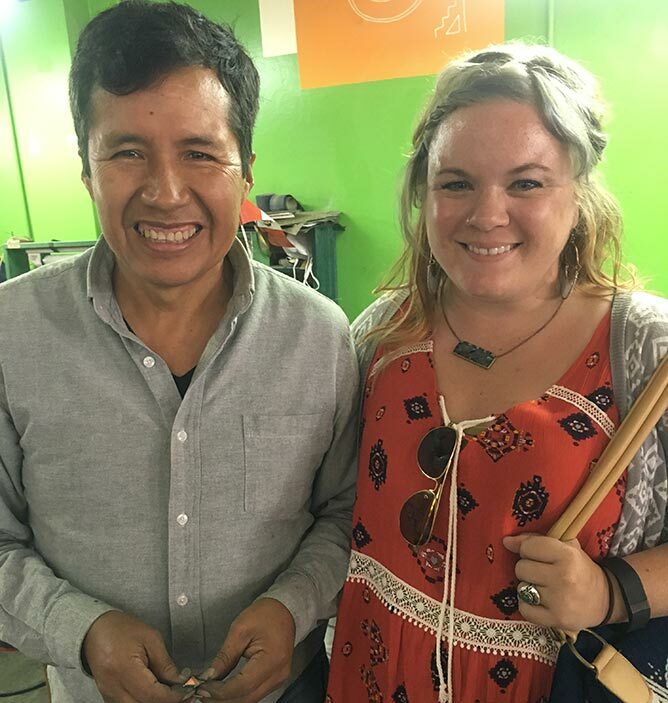 During our time in Lima, we had the opportunity to visit several Artisan Partners, including Fermin and the employees at his workshop. 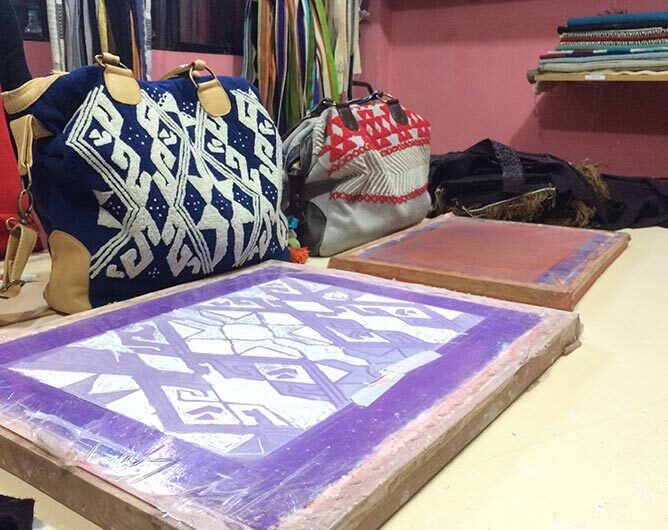 Fermin and his wife employ eight people to produce some of Noonday Collection’s gorgeous and higher end pieces. He positively beamed when he talked about his work and his care for his employees. He shared that 90 % of his work comes from Noonday Collection’s orders. As this knowledge and the implications of it sunk in, I instinctively drew my hand to my neck, where one of my favorite Fermin creations had intentionally found its place that morning. 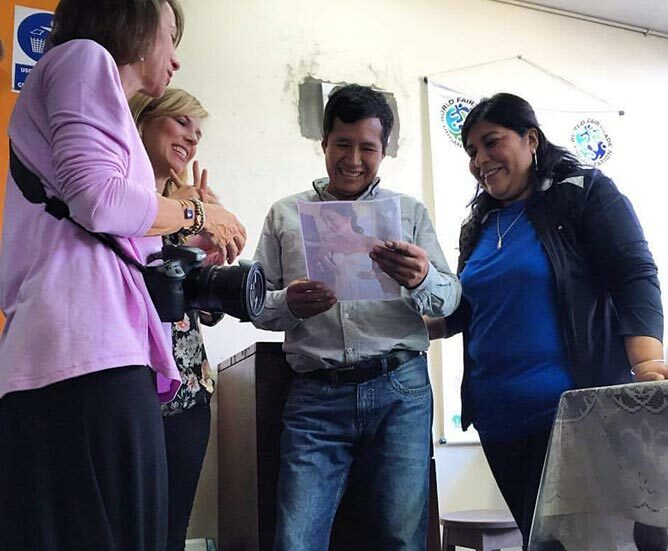 One of my fellow ambassadors stood up to show Fermin and his wife a picture of another woman who had made the intentional choice to wear Fermin’s handiwork. This time, a bride, who had worn a pair of Fermin’s Noonday Collection earrings on her wedding day. We all felt proud as we gazed at the photo and thought about this bride hand-selecting this special pair of earrings. One of the most emotional and memorable parts of our trip was when we landed in Ayacucho to visit the Artisans who make our beautifully embroidered La Bella bag. I had brought mine to serve as my purse/shopping bag/carry-on for the week—a choice that was primarily based on functionality (more space for market treasures!). But as I stepped out of the airport and into the early evening sunlight, my fellow travelers and I were met by Faustino, the founder of the workshop where our La Bella Bags are created. I was suddenly so proud to be carrying that La Bella Bag. It had been a choice made for functionality back home in Chicago. 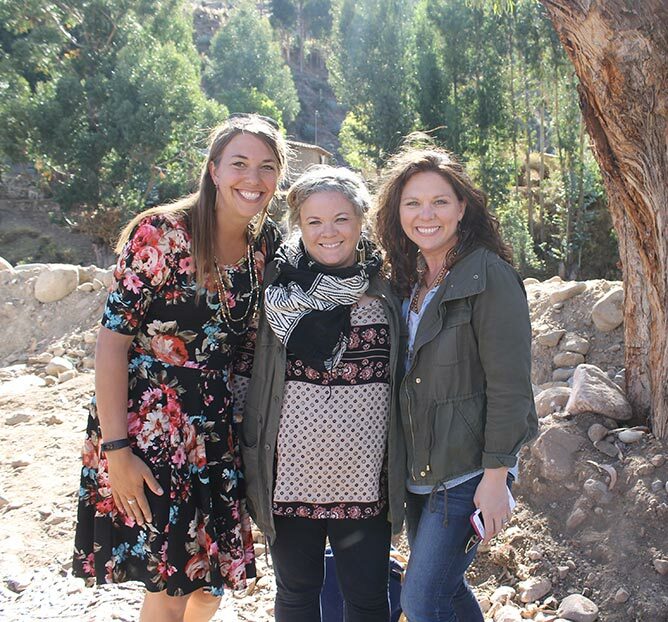 Here, as I accepted roses and hugs and tears and many “Gracias,” I was reminded that what had seemed a small choice back home had huge consequences here in the Andes. We all felt connected. 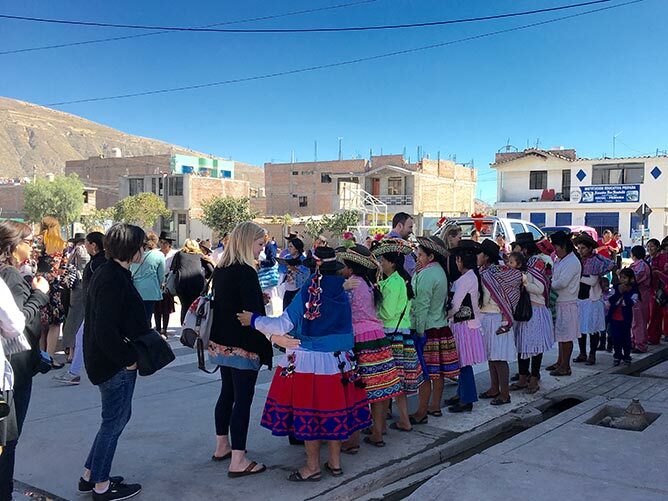 At times throughout the trip, we saw women in traditional Peruvian dress—the trademark sombrero, accompanied by a variety of colorful woven threads in their skirts. I remembered reading that these colors and motifs, traditionally, were quite intentional. They said something about the wearer. Perhaps where the woman came from—her region or family. Perhaps a part of her history or skills or beliefs. These ancestral women might not have had much. But what they did have spoke volumes about who they were. I couldn’t help but to think that is what Noonday Collection is for us. It says something about us. When I carry my La Bella Bag, I carry the hearts and dreams and cares and concerns of the women and men who helped assemble it. When a bride chooses Fermin’s earrings to wear on her wedding day, it says something about her. We often take for granted all the choices we can and have to make. Sometimes, they seem small. Intentionally choosing to slow down, to pause before we make a purchase, says something about us! It says we care about the people behind the products. It says we want a world where single mothers are employed and thus can take care of their babies. It says we support an employer who cares so much about his workers, he considers them family. It might mean we end up having less “stuff,” overall—but the items we do purchase carry so much more meaning. “Pack light.” It’s not a bad life motto, is it? When we carry less, we can hold more. When we are intentional about our choices, it frees us up to be fully present. 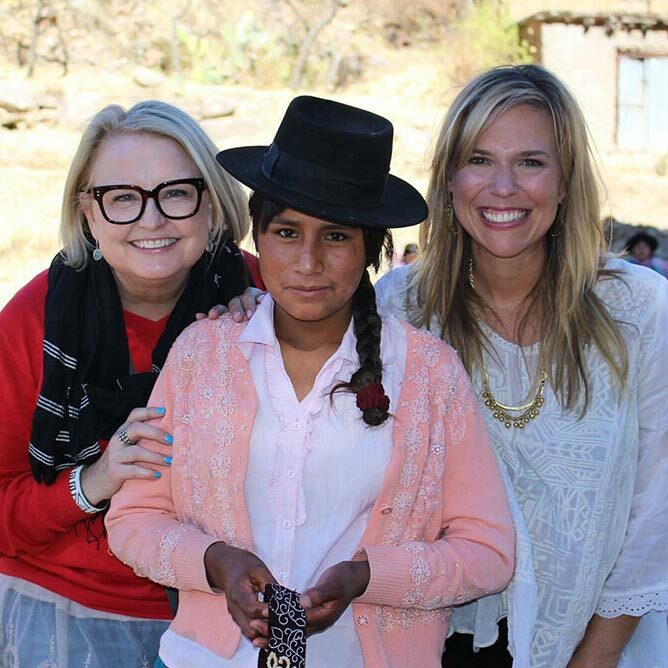 I love that Noonday Collection has pushed me and challenged me to make better choices. To live more intentionally and really think about the consequences of my decisions. To be aware of what my choices say about me. 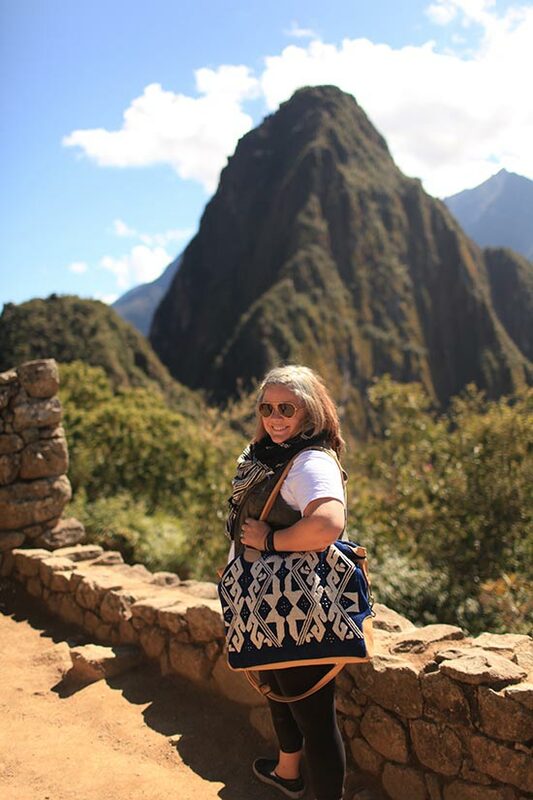 I’ll gladly “pack light” and exchange fast fashion for the opportunity to wear and showcase the handiwork of my brothers and sisters in Peru and around the world. There is a story behind every accessory I wear. It’s like FDR’s famous line, “speak softly but carry a big stick.” I would say, “pack light, but make it count.” Fashion trends will come and go, but the stories of our Artisan Partners? They will be imprinted on my heart forever. Want to travel with us next year? 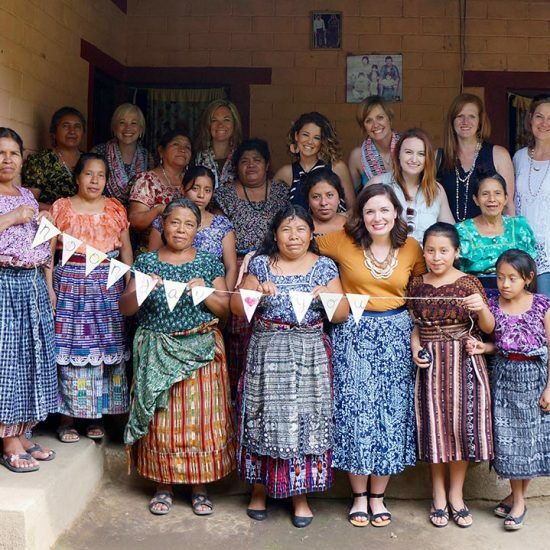 Launch your Ambassador business and you could earn a trip to visit our Artisan Partners across the globe! Lisa is a mom of two future world-changers and wife to one tattooed accountant. Back in college she began as a fashion merchandising major, switched to journalism and might have had a music major at one point. When writing for a fashion magazine didn't pan out, Lisa found herself in marketing for nonprofits. 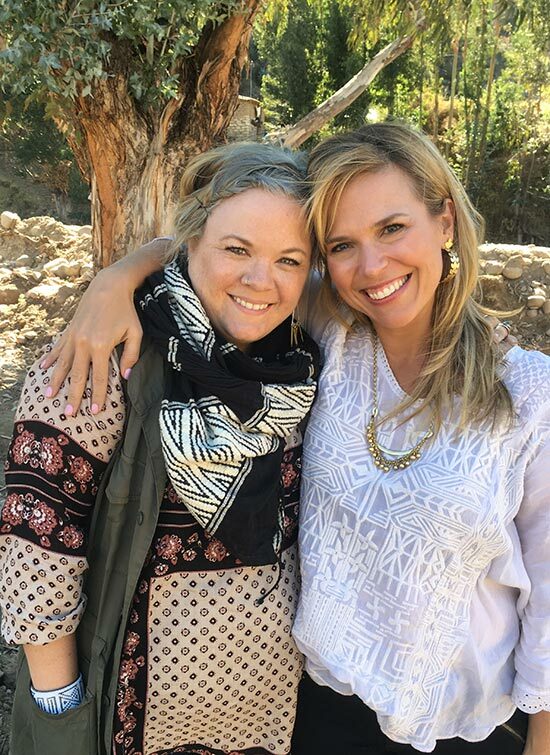 As a Noonday Ambassador since 2014, Lisa loves that Noonday has become an outlet for her combined love of fashion and merchandising as well as nonprofit experience. She hasn't started singing at Trunk Shows YET, but the music major could still come in handy!